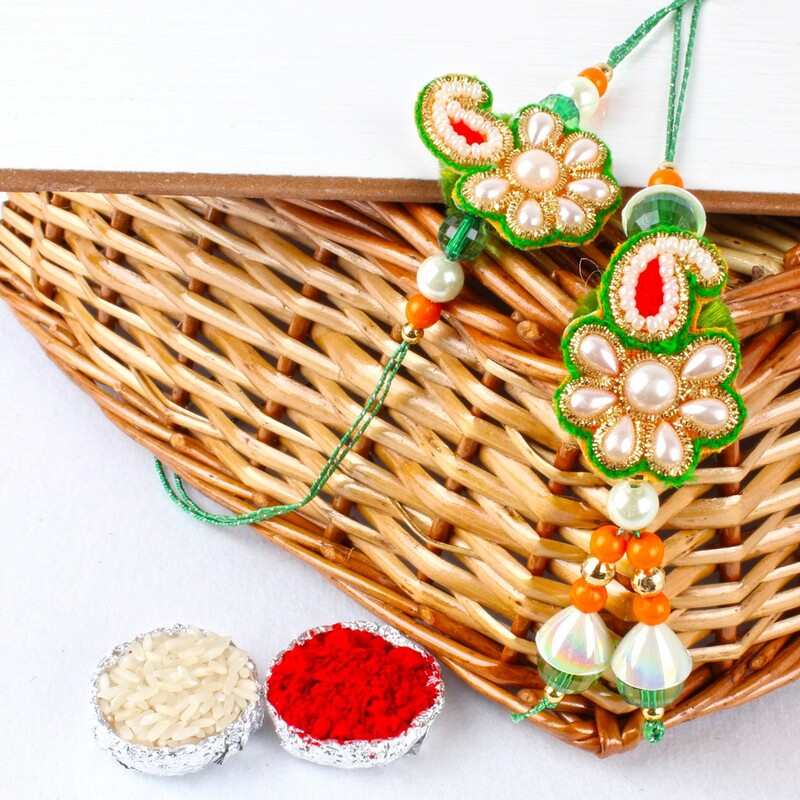 Raksha Bandhan is time to emancipated and enjoys this occasion with your lovely Bhaiya and Bhabhi. Convey yours happiness by tying this floral shaped set enchanted with white pearls all over on the dial The floral embellishments are made from designer motifs with Zari and colorful woolen thread. 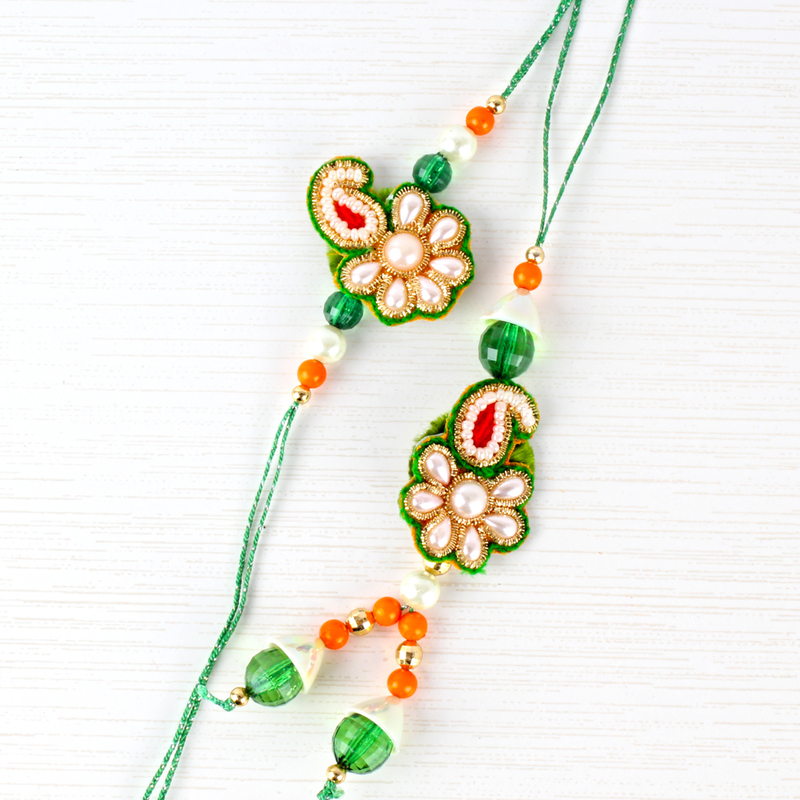 Lumba is decor with whelming white drop shape pearls and other colorful balls with green beads mapped in hangings. 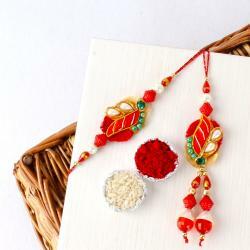 This ethnic floral based set will expand the happiness of your loved ones. 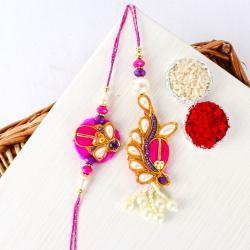 Product Includes: Bhaiya Bhabhi Rakhi Made Out of Different Shape Pearls and Zari Work Along with Packet of Roli Chawal.